How Much Oil, Gas Is Out There? March 31, 2010  President Obama's reversal of a ban on drilling off most U.S. shores could put new oil and natural gas platforms in waters along the southern Atlantic coastline, the eastern Gulf of Mexico and part of Alaska. Ben Cahill, a manager at PFC Energy, offers his insight on how much oil or natural gas is actually out there. 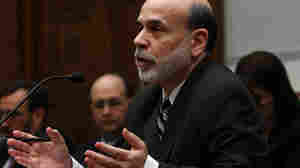 March 31, 2010  A Federal Reserve program designed to help the mortgage market ends Wednesday. Following the 2008 financial crisis, the Fed plunged into the mortgage-backed securities market. 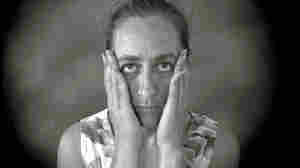 Its goal was to help get credit flowing and hold down interest rates. Starting April 1, that market will be expected to stand on its own again. Would-be home buyers are hoping the change won't nudge interest rates higher. March 31, 2010  The Los Angeles school district has decided to save $140 million by furloughing teachers this year and next year. Officials also voted to shorten the school year by one week. The deal, which still needs to be ratified by the teachers' union, will save approximately 2,000 jobs. March 30, 2010  The Federal Reserve will stop buying mortgage-backed securities this week, ending a massive program that’s been helping the housing market recover. The Fed has bought more than $1.2 trillion of mortgage-backed securities in all. March 30, 2010  If the count is more accurate and efficient than usual this year, it may be due to the economy. Thanks to the recession, the Census Bureau has more highly qualified people helping to carry out the count than ever before. Now, work is getting done faster than anticipated — and under budget. March 30, 2010  The Obama administration is turning its attention to financial regulation. The centerpiece of the current financial overhaul plan is a new agency dedicated to protecting consumers from risky financial products. Deputy Treasury Secretary Neal Wolin tells Mary Louise Kelly that the administration is dealing with resistance from bank lobbies and the Chamber of Commerce. 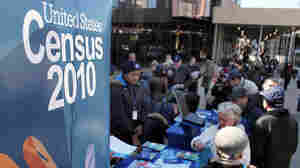 March 30, 2010  When it comes to the Census, 50,000 appears to be a magic number. That's the number of residents that many restaurant chains and other businesses look for when deciding where to locate. It's also the population level that makes it easier for a community to qualify for federal funding to support infrastructure projects like streets, water systems and parks. That's why Salina, Kansas, is making sure all of its citizens are counted. March 29, 2010  Although the unemployment rate for college graduates is less than half that of high school grads, many say finding a job with a college degree is still tough in this economy. Some college graduates are also taking lower paying jobs or staying in jobs that are not a good fit.